Hi everybody !!! Are you ready for a new inspired post for this summer? Fashion brings innovations every day to our life. Different fashion styles can be on the agenda every season. Of course we do not want to be out of fashion. Following up on new outfits and styles is one of women's favorite job. Summertime sunlight shines like gold. In order to carry these sunlight to entertaining summer parties, fashioners have prepared clothes in gold color this summer. 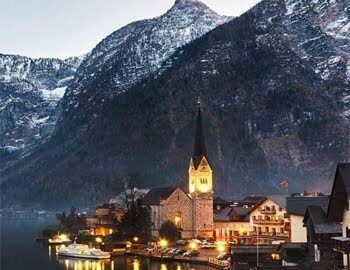 It is possible to find clothes in various tones from the lightest gold to rose gold. Zaful also prepared a series of gold dresses for the summer of 2018. In hot summer evenings you will join parties, in this dresses you can shine like a gold and you can attract all the attention. 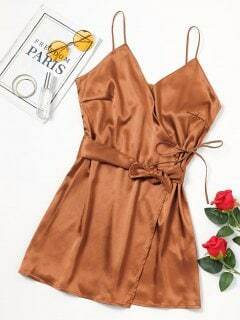 I've made a list of a few zaful gold dresses I hope to inspire you. Do not forget to visit zaful online to see more. 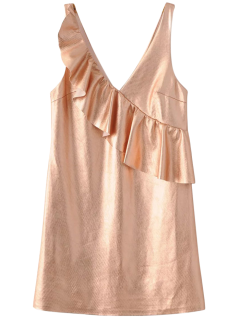 Isn' t it a lovely rose gold dress? With a good bag and heel or sandal combination you can be the princess of the evening. Mini, dresses are my favorites. I like long dresses as well but I am a little woman I can not wear long dresses. A really elegant dress. 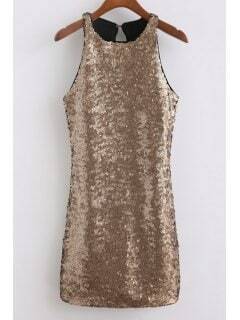 In this gold dress, you can feel you as you are at the red carpet ; and you can be the queen of the evening. An almost same dress but with little different cut. Again very elegant. V Neck Ruffles Mini Tank Dress. Rose Gold. I love this year rose gol too much with outfits and accessories. Such a lovely mini dress for party evenings.